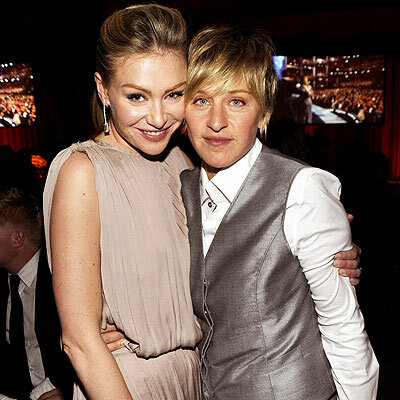 Portia Degeneres has opened up for the first time about her anorexia which at one point saw her weighing just 37kg. Portia, who took wife Ellen Degeneres’ last name recently, gave a tearful interview with Oprah about her shockingly low weight and poor health on the eve of the release of her autopbiography, Unbearable Lightness: A Story of Loss and Gain. The Ally McBeal actress says she lived on 300 calories a day, as opposed to around 1800 calories which is recommended for most adult women. She also admitted to taking up to 20 laxatives a day. After getting help for her anorexia, she started to put on weight and after her first year of eating healthy weighed 76kgs. The pair met in 2001 and Portia says for her it was love at first sight. “I remember being so excited and overjoyed to be around her that I can still recall the feeling of running after her backstage,” she writes in her memoir, out today. Watch Portia speak to Oprah here. Do you know anyone that has suffered with anorexia?